What is LinkedIn for? Is it for recruiters? Job seekers? Is it a social network? Yes, it's all of those. Unquestionably, your own law school is a place to network and find out about job opportunities. Even if you're not looking for a job, it's still worthwhile to be a member of your law school's group so that you can keep up to date on what's happening at your law school. Every ABA practice area, whether it's criminal, civil, litigation, contracts, real estate -- whatever -- is represented on LinkedIn. Join your practice area so you can get information on upcoming events and that things most precious to lawyers: CLE opportunities! This LinkedIn group is especially good for solos and small firms, which are more actively engaged in the business aspects of operating a law firm. Not pronounced "illegal," the e-Legal group bills itself as a networking source for attorneys in basically every practice area and firm size, from solo to BigLaw. For sheer size, Law Jobs Network can't be beat: It boasts over 175,000 members and contains not only discussions from legal recruiters, but its own legal job postings. 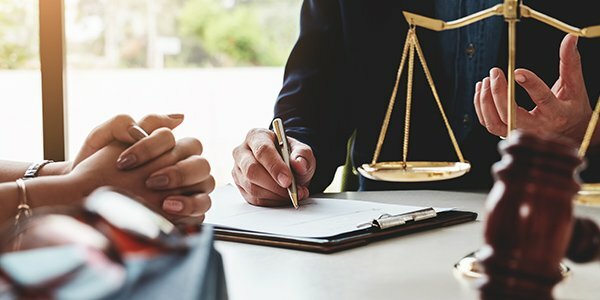 If you're a law student or a recent graduate, then you should be a member of this group, which posts information about interviews, career tips, and advice that brand-new lawyers haven't learned yet through experience. As we've mentioned before, you should be a member of your local bar association, and that goes for its LinkedIn group, too. Learn about upcoming CLEs and events and make contacts this way. Whether your politics place you with the Federalist Society or the National Lawyers Guild, diversify your life by joining the LinkedIn group of a nonprofit legal association. Because the law isn't just about your workaday practice. This LinkedIn group encourages lawyers to see themselves not just as isolated practitioners but as "legal entrepreneurs" in an interconnected world full of opportunities -- if you can grab them. What a horror is the minefield of legal software if you don't have a guide. Joining this LinkedIn group can provide some help when it comes to not only picking a technology, but using it effectively. Are there any other LinkedIn groups that lawyers should join? Let us know via Twitter (@FindLawLP) or Facebook (FindLaw for Legal Professionals). Editor's Note, October 6, 2015: This post was first published in October 2014. It has since been updated.